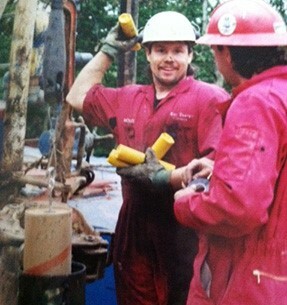 I started working in the oil field in 1984 when companies were placing ads for workers. I started out as a perforating gun builder, then a rig hand (rigger), and after many years of hard work, I got a job as a case-hole engineer. 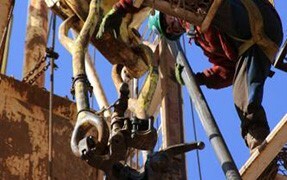 I evaluate formations (behind casing) and provide multiple intervention and mechanical services, such as perforating, pipe recovery and production logging. My favorite part of the job is using advanced electro-explosive devices that are designed specifically for application with perforating guns and other explosive devices. How could I ever get bored with a job where I get to use explosives? That’s every man’s dream job. I spend my free time training for half marathon races with my wife, Scherie. 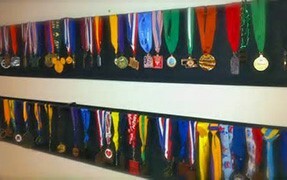 We try to get several races in a year and it keeps us very busy. 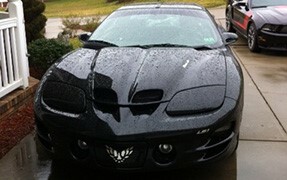 My other passion is working on our 2001 Trans Am, which was a gift that I gave my son for graduation. We spend many weekends using my Bosch power tools adding to and upgrading this car. Like any Daredevil, you obviously have a knack for finding the best life has to offer. A lifestyle of performance, creativity and bold efficiency isn’t complete without a fun tale. Tell us a story about when you took a calculated risk, played a practical joke on a fellow tradesman or about one of the most extreme jobsites you’ve encountered in your career. Most of my jobsites are extreme! I live in West Virginia, which is mainly mountains. So almost every jobsite is several miles up the side of a mountain without a real road; any wrong turn and you could go off the mountain. On rainy days they usually use dozers to pull our trucks into locations. I have seen a few occasions where this wasn’t successful. I worked a few years ago on a jobsite where a truck went off the side of a cliff and the driver died. A well site is no place to rely on rookies – inexperience is dangerous and costly. I risk my life every day, but I wouldn’t change my job and could never see myself doing anything else. What Daredevil products do you use and how do you use them? At work we use a lot of circular saw blades for metal cutting and also spade bits and auger bits. We use reciprocating blades for a lot of metal cutting on locations and in our shop. We also use grinder wheels. The most useful product that I have in my truck is the Bosch wire wheel. They are great at removing build-up from tools and have saved the day several times.